No many how many times it’s heard, it remains an uplifting and inspirational story. A young man leaves his essentially tropical home country and lands in British Columbia in the middle of winter where, after a lifetime of hard work is saluted and feted by his peers not only for his accomplishments but for the contributions he has made to his community as well. 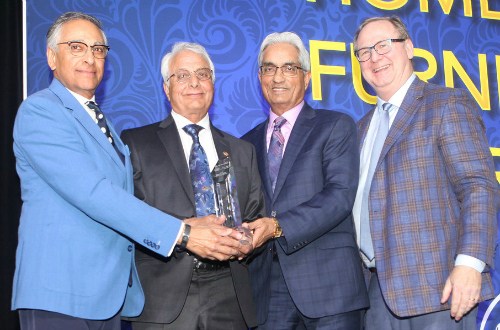 This familiar story will once again be told when Resham ‘Ray’ Kandola, president of City Furniture & Appliances (CFA) receives the 2018 Retailer of the Year Award for Western Canada from the Canadian Home Furnishings Alliance (CHFA) at a gala that’s set to be held immediately prior to upcoming Canadian Furniture Show. As he recalls, he arrived in B.C. from India at the age of 18 in 1966 “full of hopes and dreams” even though it was the dead of winter. For the next few years, he worked in different jobs until eventually settling in Prince George to start work with his uncle who happened to be the furniture business. In those days, they worked in the store during the day and then sold door-to-door in the evenings. A decade later and in partnership with two friends from his youth – Ted Sandhu and Ruby Sharma – Kandola opened the first CFA store in Prince George. In 1983, they embarked on their first expansion effort, which saw Sandhu relocate to Dawson Creek and Sharma to Vernon. It wasn’t long before Kandola’s nephew, Sid, joined the company and another CFA store was opened in Kamloops. In 2018, the company is operating some 22 CFA stores throughout British Columbia and neighbouring Alberta. In fact, it just unveiled a new store in Kamloops, which at 45,000 square feet is the largest in the chain and three-times larger than the typical CFA stores. It also serves as a warehouse and distribution centre for the entire chain. The company also operates four Ashley Furniture Home Stores and expects to open a fifth in the not-too-distant. There are two features to CFA that make it somewhat unique in the Canadian marketplace. First, it is few truly full-line furniture stores left in the industry for in addition to the expected furniture, mattresses and major appliances, it remains committed to consumer electronics with a focus on television and home theatre products. And each store in its chain is independently owned and operated. Kandola has four brothers and a sister, all of whom have children with a good number joining CFA as a store owner and operator. Each location is essentially a franchise although the owners meet regularly to discuss the state of the business and plot their collective future. “It’s one of the reasons why we are doing so well,” Kandola told Home Goods Online in an interview. 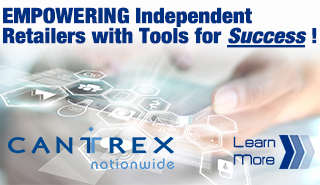 They are also enthusiastic members of Cantrex Nationwide. Kandola firmly believes CFA is successful because of its family-focused approach to selling furniture, mattresses, appliances and electronics. “We value knowing our communities and our customers’ by name,” he said. Click here to read Michael’s profile of Ray Kandola in the Summer edition of the Merchandiser.